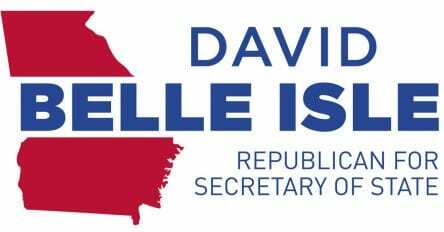 HIAWASSEE, Ga. – Towns County Republican Party invited Georgia Secretary of State candidate, David Belle Isle, to share his campaign platform at their monthly meeting on April 19, 2018. If elected, Isle says he is focused on two main interests: Defeating voter fraud and championing Georgia jobs. “I’m committed to cyber-secured, paper-verified elections and empowering individuals through free market solutions and tools of opportunity,” Isle states. The former mayor of Alpharetta, Georgia, began by addressing issues within the current voting system, offering solutions. Isle spoke of a need for updated voting machines and explained his plan to bolster voter confidence. Isle described a three-step process involving casting ballots in the current manner, but also the addition of a printed record that can be verified by the voter, then scanned into a second database, with the electronically-printed physical copy stored as well. Isle also spoke of changes necessary to combat voter fraud and prevent illegal immigrants from voting. The sixth-generation Georgian says he plans to go above and beyond the duties of State Secretary if elected. Isle intends on delivering rural broadband and strategic workforce development through free market solutions, fighting job killing regulations, and supporting agriculture, technology, and other emerging industries. 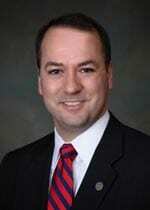 Towns County GOP has announced State Representative Incumbent Matt Gurtler will speak at their meeting on April 17, 2018. The Republican Party meets on the third Thursday of each month at 5:30 p.m. for social refreshments, with meetings beginning at 6:00 p.m. at the Towns County Civic Center. Republican Chair Betsy Young encourages the public to attend.